Andrew Tiscoe to lead the channel management and sales operations for protected-networks in the UK region. protected-networks, provider of the exclusive access rights management solution 8MAN, today announced the appointment of its Head of Sales for the UK, Andrew Tiscoe. 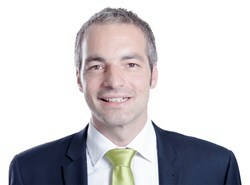 Andrew will spearhead the UK business development and channel management strategies, effective immediately. Prior to joining protected-networks, Andrew held a leadership role in F-Secure Channel Team Ltd. and brings over a decade of IT and Network security sales experience with organizations such as F-Secure Corporation, Tisec Ltd and Direct Sales Agency. Throughout his career, Andrew has worked closely with reseller partners with proven ability in building cohesive teams, identifying changing market needs and maintaining high standards of client satisfaction. He has worked with some of largest accounts, built global contracts with strategic partners for accelerated growth and led a successful company of his own. At protected-networks he will be responsible for driving 8MAN’s sales through an independent and robust distribution channel, and expand into new territories. About protected-networks: Founded in 2009, protected-networks GmbH is a Berlin-based company that develops integrated solutions for access rights management of server environments across all business sectors and at public authorities. The solution, 8MAN is an Information Trust Software based on an innovative approach to integrated data security management and offers uniform and automated management of user rights. Clients thereby save cost and time while increasing protection against unauthorized internal access.